November 2nd, 2018 – World Technology Corporation (World Tech), a preferred supplier of capital equipment for commercial and utility-scale solar systems, announced today that it has successfully supplied World Technology Corporation Supplies 245.1kW of SMA String Inverters. November 1st, 2018 – World Technology Corporation (World Tech), a preferred supplier of capital equipment for commercial and utility-scale solar systems, announced today that it has successfully supplied World Technology Corporation Supplies 72.0kW of SMA String Inverters. New Product Release: IronRidge CAMO End Clamps: It hides rails. CAMO secures solar modules flush to rail ends. -Works with 99% of panels. -UL-listed and structurally certified for nearly all loading conditions. 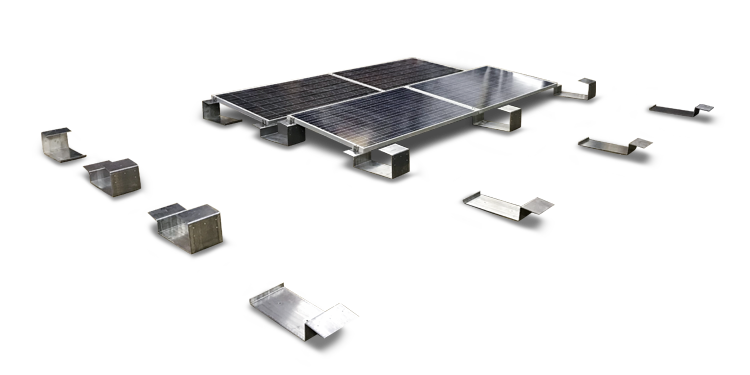 October 10th, 2018 – World Technology Corporation (World Tech), a preferred supplier of capital equipment for commercial and utility-scale solar systems, announced today that it has successfully supplied 110kWp of Patriot Solar’s Aurora Ballasted Roof Mount solar mounting system to a Commercial Roof System. Central America – October 10th, 2018 – World Technology Corporation (World Tech), a preferred supplier of capital equipment for commercial and utility-scale solar systems, announced today that it has successfully supplied 180kWH of tier-1 lithium based energy storage system to a solar farm in Central America. Central America – September 17th, 2018 – World Technology Corporation (World Tech), a preferred supplier of capital equipment for commercial and utility-scale solar systems, announced today that it has successfully supplied 1.9MWp of balance of system components to a solar farm in Central America.